Then I saw heaven opened, and behold, a white horse! He who sat upon it is called Faithful and True, and in righteousness he judges and makes war. His eyes are like a flame of fire, and on his head are many diadems; and he has a name inscribed which no one knows but himself. He is clad in a robe dipped in blood, and the name by which he is called is The Word of God. Let’s be honest, nothing says Christmas like an image of Jesus with “eyes blazing like fire and a robe dipped in blood.” Just makes you want to cuddle up next to a fire listening to Johnny Mathis sing: “It’s Beginning to Look a Lot Like Christmas” or “It’s the Most Wonderful Time of the Year.” In fact, this image of Our Lord was hung over the crèche, above the position where the angel usually is placed. As odd as this image may seem to us, it does reflect what the church encourages us to meditate on during the season of Advent. When the Church celebrates the liturgy of Advent each year, she makes present this ancient expectancy of the Messiah, for by sharing in the long preparation for the Savior’s first coming, the faithful renew their ardent desire for his second coming (CCC 524). The Christian celebrates the Solemnity of the Nativity and hopes for a speedy return of the King of Kings, our Sovereign. I think we shy away from this image and meditation because it quickly exposes our lack, my lack of preparation and holiness. For this reason I am so thankful that the Church has gifted us with the “little Lent” called Advent. I know the decorations are most likely up in the house (mine are). I know that there is shopping to do and that this season is synonymous with camaraderie and reconnecting with coworkers and friends we have not seen for a while. Advent and the Christmas season seem to bring out the best in us. That being said, maybe we should also commit to reconnecting with Our Lord through little penances in order to keep our eye on the prize (Hebrews 12:2). The hope of the Christian is that He returns to us quickly in glory (CCC 2859). 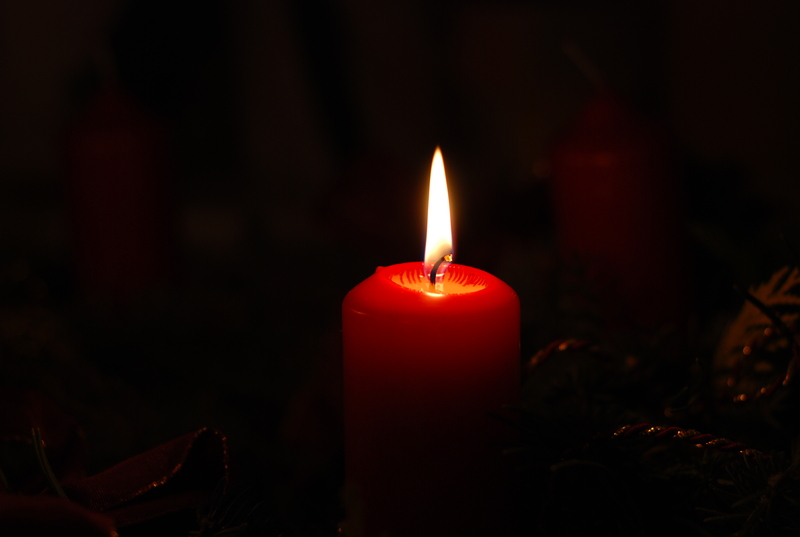 Advent is actually is about slowing down and patient watchfulness so as to prepare ourselves for the coming of the Kingdom (CCC 2612) – first in our hearts through an infant savior and then in joyful anticipation of His coming in glory like a Bridegroom to his Bride. This entry was posted in Deacon Marques Silva and tagged advent, Book of Revelation, catechism, Catholic culture, Christmas, Christmas cheer, crèche, culture, decoration, Hebrews, Messiah, Nativity, preparation, Revelation, Second Coming. Bookmark the permalink.